How does Bangladesh figure in India's Look East Policy? 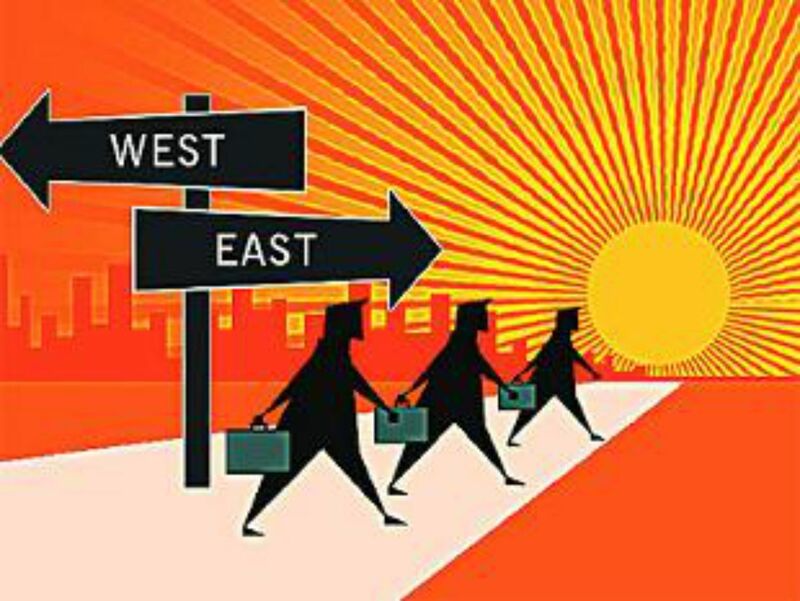 India is looking for new economic frontiers in the East. In the face of continuing stalemate of WTO negotiations, countries are looking for alternative or parallel arrangements. The past decade has seen the flourishing of many such initiatives. As an emerging global economic powerhouse, India would obviously not like to be left behind. There is the American-led 12-country Trans-Pacific Partnership (TPP) in which neither India nor China plays any part; but both the countries as well as Japan are involved in the ASEAN-led 16-country parallel initiative called the Regional Comprehensive Economic Partnership (RECEP). The outcome of these initiatives will depend on factors that go much beyond the nuts and bolts of trade into the realm of geopolitics. It thus makes sense that India is looking for alternative routes to link with the ASEAN, which is currently the focus of India's so-called Look East policy. But while pursuing the big ideas of economic partnerships, it would be a folly for India to lose sight of what can be achieved nearer at home. To start with, one could argue that India's Look East policy needs to look first within its own borders, so that its east and north-eastern parts can both be a vehicle and a beneficiary of the policy. Connectivity and economic integration with Bangladesh becomes important in that context. Consider this fact: most of the 30 border districts of Bangladesh – out of a total of 64 districts -- are among the most economically disadvantaged areas of the country. The Indian districts bordering Bangladesh are similarly lagging behind. Clearly, the cross-border economic synergies due to geographical proximity are not being fully exploited. The potential of turning geography to economic advantage is obvious. This sub-region provides the land corridors for connecting India to East Asia, such as through the proposed trans-Asian road and train links. But beyond that, the connectivity is also important for providing access to seaports. The hinterland of Kolkata and Chittagong ports can extend beyond Nepal, Bhutan and the seven sister states of northeast India to large parts of inland China. As China's manufactures move inward, it is exploring backdoor routes, such as reviving the old Silk Route and looking for new ones. That is why Bangladesh in particular would like to see the success of the initiative called BCIM-EC, the acronym for Bangladesh, China, India and Myanmar economic corridor. There has been much talk about transit facilities for Indian goods through Bangladesh. The issue has been narrowly focused in terms of transit of goods only and not as part of sub-regional economic integration through which a number of things can happen. For example, supply chains can be developed to use the resources of the Indian north-eastern states by setting up labour-intensive processing industries in Bangladesh – say, by Indian investors – and exporting the products worldwide through Chittagong port or to the rest of India. These may not be as big ideas as India's current Look East policy in terms of priority of the Indian policymakers at the centre; but the potential economic dividends can be high for Bangladesh and the North-eastern states of Bangladesh. The sub-regional integration can also benefit Kolkata –a city that has not clearly lived up to its full economic potential, mainly because of its remoteness from the major Indian economic hubs. For the same reasons, the South Asia Growth Quadrangle (SAGQ) comprising Bangladesh, eastern India, Bhutan, and Nepal deserves more attention and should be part of India's Look East policy. The region, compared to SAARC, enjoys geographical proximity, economic complementarities, and socio-cultural similarities favouring greater economic integration. Previous studies have concluded that power trading within the SAGQ sub-region would confer major benefits on all four countries. Realising that potential of economic integration will need huge investments in infrastructure. Scarcity of land in Bangladesh and the governance problem of implementing large projects are additional hurdles. The newly created Asian Infrastructure Investment Bank (AIIB) initiated by China has immense developmental promise for infrastructure development in Asia, particularly by bringing together the two Asian giants, China and India, and by providing China an institutional mechanism to deploy its large pool of accumulated reserves. The main economic logic of India's Look East policy lies in the fact that South Asia generally has been left behind in the race to integrate into global supply chains, which is a particularly dynamic segment of world trade. India has seen an upsurge of its trade with some of the south-east Asian countries after it implemented the free-trade agreement with the ASEAN in 2010. The question remains whether there will be similar enthusiasm in India for fostering comprehensive regional economic integration with its immediate north-eastern neighbours. The writer is Chairman, South Asia Network of Economic Research Institutes.